The Pokémon: Let’s Go, Pikachu! and Pokémon: Let’s Go, Eevee! Super Music Collection is now available on iTunes. Keep the sounds of your Kanto journey going all the time with the Pokémon: Let's Go, Pikachu! and Pokémon: Let's Go, Eevee! Super Music Collection. 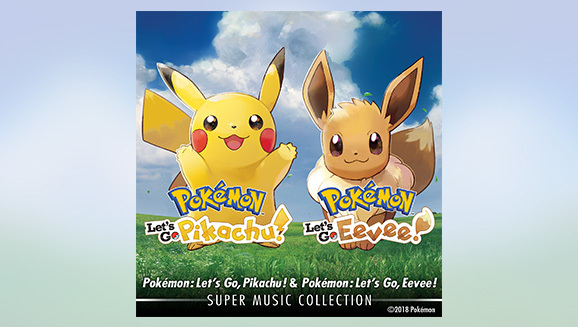 This massive soundtrack includes over 60 songs and sound effects from the Pokémon: Let's Go, Pikachu! and Pokémon: Let's Go, Eevee! games, as well as over 50 bonus remastered tracks from the original Pokémon Yellow: Special Pikachu Edition game! Because these tracks have been remastered, they may sound slightly different from the original versions. Look for the Pokémon: Let's Go, Pikachu! and Pokémon: Let's Go, Eevee! Super Music Collection in the iTunes Store for $9.99. Individual tracks can be purchased for $0.99.